Will 2018 be your healthiest year yet? 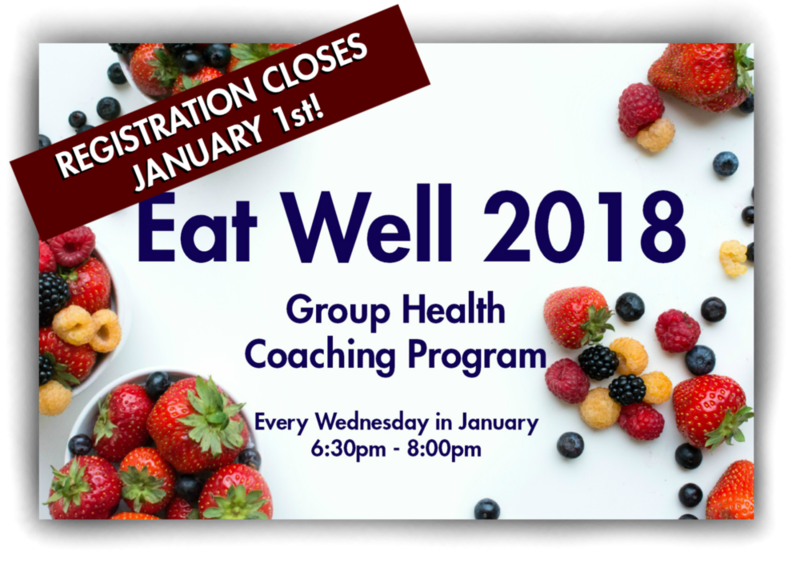 Set yourself up with success with group health coaching. WHO: The program is open to adults ready to establish healthy new habits. Couples are welcome! The program will be led by health coach Lauren Shafer. If you have additional questions before registering, please contact Lauren directly HERE or by email: lauren@live-full.com. The group will be capped at 15 participants, so pre-registration is STRONGLY suggested. What other goals do you have entering this program? The participant understands that this program is not intended to provide health care, medical or therapy services; nor to diagnose, treat or cure any disease. The Coach is not acting in the capacity of a doctor and any advice given is not meant to take the place of medical advice. If the participant is under the care of a health care professional, he or she should discuss any dietary changes with a doctor. The participant expressly assumes the risks of the program, including the rists of trying new foods and inherent in making lifestyle change. The participant releases the Coach, Live Full and Lifestrength PT from any and all liability, damages, causes of action, allegations, suits, claims and demands arising from the participant's past or future participation in the Program, unless arising from gross negligence of the Coach. By checking this box, Participant agrees to pay $75 for the four-session program, due at the first session by cash, check (made payable to Live Full) or charge. Fees are non-refundable after the second session. I agree to the payment and refund terms. Are you currently under treatment by a doctor, physical therapist or other health professional? Do you ascribe to any particular way of eating? Approximately what percentage of your food is cooked/prepared at home? Is there any other information you'd like to share in advance of the program? Thank you for registering! An confirmation email will be sent to you within one business day.